A FORMER Big Brother contestant has opened up about horrific stunt that producers subjected her to during her time on the reality show. Kate Gladman appeared on Big Brother in 2007 and is one of several former reality TV stars who will appear on Wednesday night's episode of You Can't Ask That. In the ABC show, Gladman reveals that she went into Big Brother "with what I sort of thought was a secret". "About 18 months before I started the show I'd had a baby that was stillborn and that was the reason that I went on the show, just to forget about that," she says. "I was deeply traumatised. I nearly died as well." Gladman, who is now a barrister, says she didn't want to talk about her ordeal on Big Brother. "I felt it was too deep and too real a trauma to be discussed on something as frivolous as a reality TV show," she says. "But the producers knew about it. They obviously wanted to get the story out of me." Kate with Big Brother host Gretel Killeen during her eviction at Dreamworld. 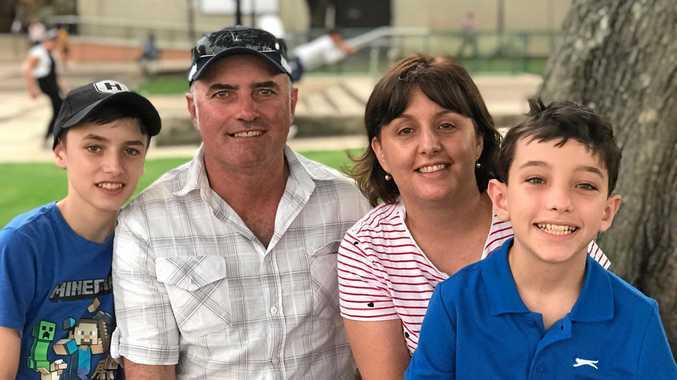 Gladman is on the verge of tears in the ABC show as she recalls the shocking stunt that producers asked her to take part in. "So they sat us in the lounge room and then two-by-two we went into the diary room. The first couple went in and came out and they were carrying a plastic robot baby and it was sort of making crying noises and stuff. "That's how they manipulated me, by asking me to look after a plastic baby in circumstances where I'd lost my own baby 18 months before." Gladman broke down in the house and refused to take part in the challenge which was described by the media at the time as "a new low for Big Brother". Gladman's mother, Anne Gladman, slammed the show's producers in the press and described the stunt as "sadistic". Even Big Brother's executive producer at the time, Kris Noble, admitted it was a mistake. "Knowing the way it affected her now, we should never have done it," Noble told The Daily Telegraph after the incident. "No one wants to see someone in that situation. But we had talked to her about the baby and she said she was completely over it. "But in hindsight we should have been a bit more sensitive. It was hard seeing her react like that because you grow attached to everyone and don't want to see any of them hurting." 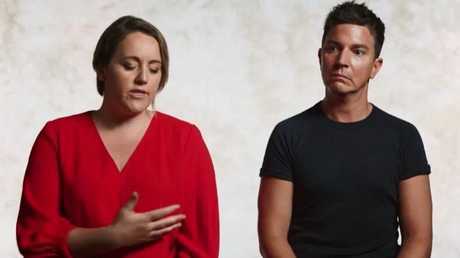 You can see Gladman and other ex-reality TV stars including Big Brother's Sara-Marie Fedele, Australian Idol's Rob 'Millsy' Mills and The Bachelorette's Ryan Jones on You Can't Ask That on Wednesday, July 18 at 9pm on ABC and iview. Kate sat next to former Big Brother winner Benjamin Norris as she shared her story on You Can’t Ask That.